A Spanish gaming website says Square Enix will no longer send them review copies because they allegedly handed out lower than average review scores, including a 7.5/10 for the recently released Final Fantasy XV. AreaJugones, a website based in Spain that says it reaches around 700,000 people per month, said in a blog post last week that they heard about this decision from the publisher Koch Media. Koch handles PR and marketing for Square Enix in several European countries, including Spain. 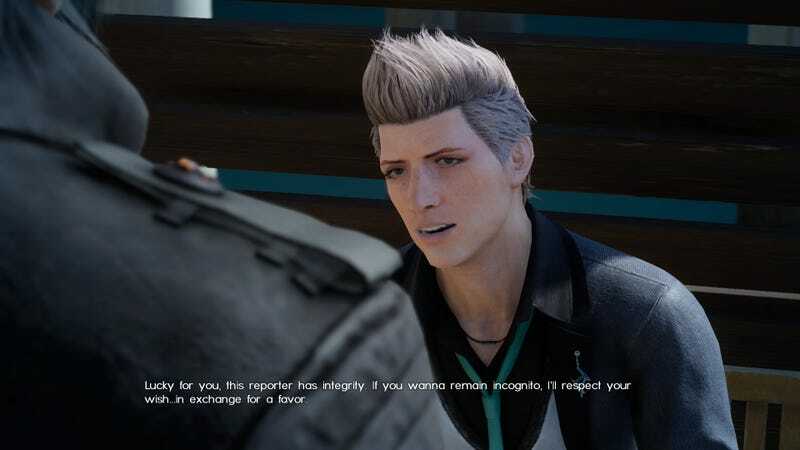 After posting their review of Final Fantasy XV last week, AreaJugones editor Juan Alberto Linares got a call from a Koch representative, who reportedly told him that Koch and Square would no longer send them review copies of their games. “The PR told me that we had scored one point less than the current average of Metacritic and that this hurt their interests as a company,” Linares told me in an e-mail this weekend. Blacklisting has long been a practice used by video game publishers to punish media outlets. For decades now, we’ve seen publishers strong-arm gaming websites over review scores, advertisements, and reporting that doesn’t fit into PR teams’ heavily crafted marketing plans. For smaller websites that rely upon timely reviews as their major source of traffic, losing access to review copies can be a major blow. In recent years, the most well-known case of blacklisting came from the publisher Bethesda, which decided to cut off all contact with Kotaku in 2013 after we reported that they were developing Prey and Fallout 4. (Ubisoft had also blacklisted us, but has since decided to renew our relationship.) For a site like Kotaku that doesn’t rely on access for most of our coverage, blacklisting doesn’t have much of an impact—the most annoying part is that they won’t let us interview brilliant designers like Todd Howard or Harvey Smith—but it nonetheless remains a weapon that publishers use to punish media outlets.